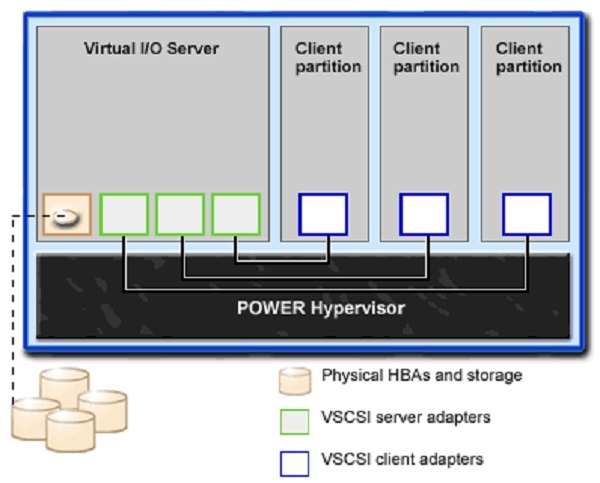 This step by step guide will walk you through the steps to remotely install Virtual I/O Server on IBM power hardware using linux remote installation server. These instructions allow you to do a network installation using a Linux Server instead of using NIM on AIX and this function is critical for linux environments for IBM Power Hardware where AIX machines do not co-exist. This section describes how to set up a remote installation server on linux for VIOS / IVM network installation. The following description is based on Red Hat Linux Enterprise Server 6.4. NOTE: The server must be able to resolve the client’s host name, by either via DNS or /etc/hosts depending on your environment. Prepare directories, copy VIOS from DVD, unpack the SPOT, and prepare the boot image. Note: The value for filename does not necessarily have to be identical to the host name, but it must match with the file name of the boot file we put in /var/lib/tftpboot. Note: Depending on the setup on the Linux server, you may have to restart the services xinetd, dhcp and NFS server manually after a reboot. Start a Serial over LAN (SoL) session to the client and power on the p701. Enter the SMS menu and start the network installation. Important: Directed bootp does not work with the bootp function provided by DHCP. Therefore, the client’s and server’s IP address must be 0.0.0.0 in the IP parameters and the client’s MAC address must be specified in the server’s /etc/dhcpd.conf file to use broadcast bootp. Broadcast bootp, however, works only if the client and server are in the same subnet. Directed bootp may work with the bootpd implementation on Linux, but we did not test it here. SMS 1.6 (c) Copyright IBM Corp. 2000,2005 All rights reserved.